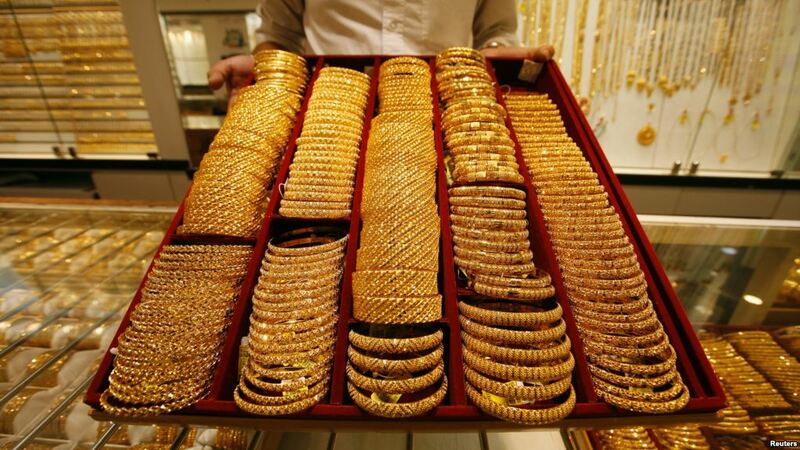 FILE - A salesman displays a tray of gold bangles at a jewelery shop in Singapore, Oct. 7, 2009. 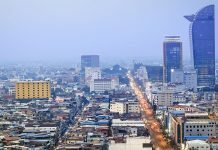 Cambodia’s records indicate what some see as a suspiciously high amount of gold imported from Singapore. 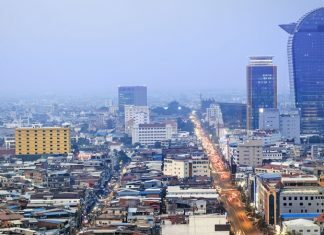 Phnom Penh – Cambodia imported about $15 billion worth of gold during five years from Singapore, according to government statistics compiled by nongovernmental organization Mother Nature Cambodia — a figure so large, corruption monitor groups say it raises alarms about potential financial crimes, particularly smuggling. 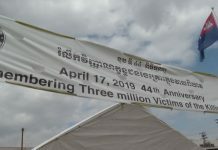 Cambodian officials dismiss the accusation, saying much of the gold is simply transiting the country on its way elsewhere. The amount of imported gold — 407 tons — eclipses corresponding Singaporean export figures for the same commodity to all other countries during the same period, including several with larger economies than Cambodia, such as China, the data shows.